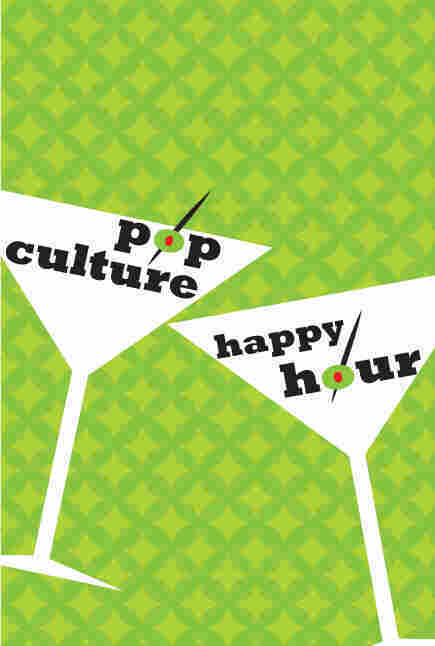 Pop Culture Happy Hour: Of 'Dark Knight,' Summer Games And Such We walk gingerly up to the topic of The Movie and The Shootings, then turn to this summer's Olympic Games and the thoughts they inspire. Then as always, several things make us happy. With our fearless leader Linda Holmes away at the TCA summer press tour, the crew is forced to stumble haplessly into the studio, where I somehow flopped into the host's chair again, heaven help us. Thanks to a brief, last-minute e-mail blizzard, however, we came armed with actual topics of discussion, if not coherent thoughts, so please give a listen as, in our first segment, we respond to both The Dark Knight Rises (in terms of its actual content) and the tragic meta-content that will inescapably frame it for the 99.999 percent of us who didn't see it at those first midnight screenings. In part the second, one of us (guess who) shares his generalized loathing for that nations-uniting, heart-lifting quadrennial sporting extravaganza that's about to kick off in London — or as he puts it, a series of athletic competitions coated liberally in "a sticky film of sentimentality and jingoism" — while the rest of us generally take the assignment seriously and come to the table with lists of the athletes and events we're most intrigued by. There is a plaintive appeal for football to be an Olympic sport, courtesy of exactly who you think would make such an appeal, and there is a heated discussion of the merits of the Dream Team. We consider the difference between the empirically measured sports — timed sprints, distance throws, point-scoring events — and subjectively judged competitions in which the Moldavian judge might take out an old grudge on a hapless young Eritrean athlete. And as you might expect, there is some discussion of the gentleman in the video below. Danell Leyva's high-bar routine. You will not see anything else this amazing today, unless your bacon grows wings. As always, we close out the show with a quick round of What's Making Us Happy, which this week involves our wild appreciation of a particularly wonderful gift from fan Jenna Brand, a gritty graphic-novel crime series from a noted writer-artist team, and an Olympics-adjacent earworm to which I dare you to listen. So have a listen — and when you're done, check in with us over at the Facebook page, where there's a lively group of regulars waiting to engage with on on all these topics and many more. And we're on Twitter if you need to reach us: Linda, Mike, Stephen, Glen, our new producer pal Jess Gitner, and me. Have a great weekend, everybody.